There's nothing as timeless as counting down days to the holidays. It's totally unique. Except for in, you know, other months where we also count the days. In fact, you might say we actually number all of the days throughout the year. But... but... are those days in December? Are they at the end of the year? No. Eat it, March. The point is this: Advent calendars. People love counting days with advent calendars. That's why you can pretty much find an advent calendar for anything. Cheese? Of course. Wine? Don't mind if I do. Whiskey? Yup. Beer? Glad you asked. 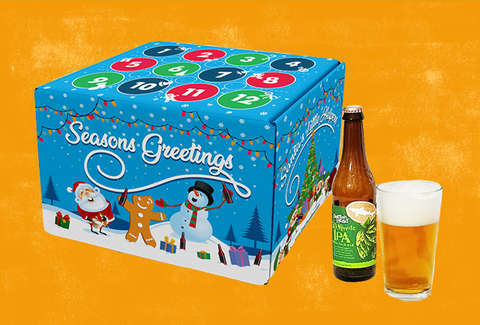 You used to have to put something like that together yourself, but GiveThemBeer.com now has beer advent calendars. The company's giant box o' beer has collected 12 different and beloved craft beers so you can drink something special every day of the countdown. 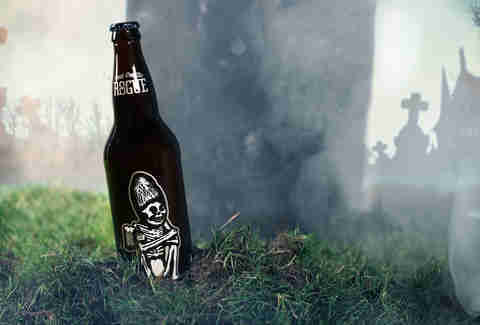 The box comes with a dozen beers and a bottle opener, and, best of all, it isn't full of boring brews. We won't ruin the surprise, but some of the goodies inside include New Holland's Dragon Milk Bourbon Barrel Stout, Left Hand Milk Stout, and beers from great craft hubs like Stone Brewing, Rogue Ales, Bell's Brewing, and others. Part of the great thing about the collection is that the recipient probably can't find all of these beers at their local liquor store because there are breweries from all over the country tucked into the box. The package retails for a not insignificant $89.99, so you might be able to put something like this together yourself by buying 12 six-packs, but that'd be a whole lot of work. Laziness is a powerful force.